In light of recent events at the Zoo here in Rotterdam where a silverback gorilla named Bokito escaped his habitat, I thought it would be fun to make a t-shirt. I’ve been wanting to make a grunge like t-shirt design for a while now. After joking about the gorilla escape a lot at work I got to work and you can see the result bellow. Click for a larger image. 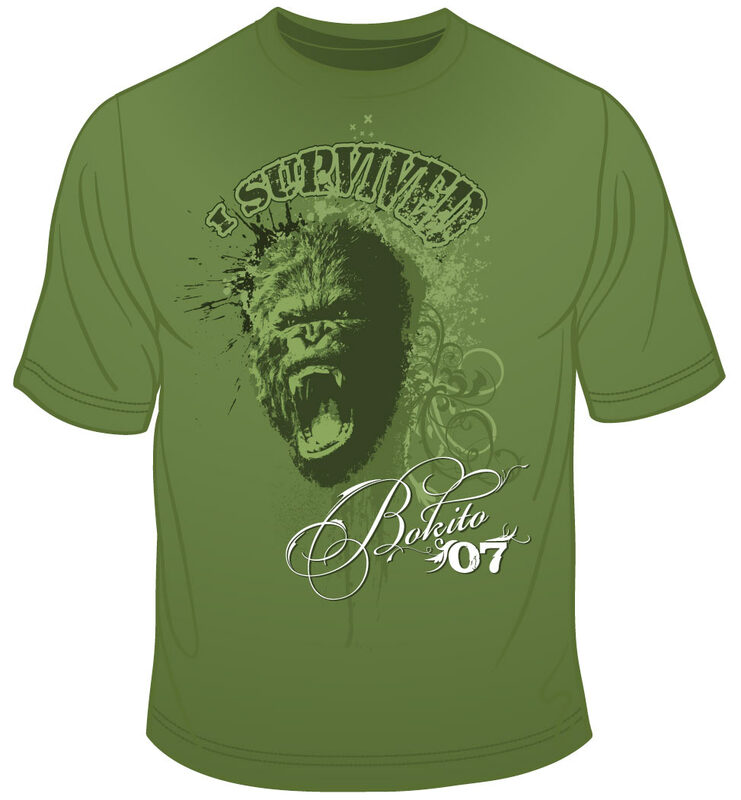 Free Bokito' shirts Hier http://ilovebier.spreadshirt.net te koop "Stop that monkey business, FREE THE APE!" "Free Bokito, jail Paris!" Great work, Dion! :) You worked in Illustrator? Hi Respiro, Thank you for the comment/compliment. I used a combination of Photoshop and Illustrator, where in Photoshop I tweaked the gorilla photo to an extent where I could trace it in Illustrator and finished the design there. The final design is Illustrator only.